You might remember the Zauba website. This is the site that tracks imports and exports into India. According to a listing from Friday, Samsung imported into India one Samsung Galaxy Tab S2 8 for testing and evaluation. According to the site, the slate is being destroyed after Samsung India is through with it. One last piece of information. According to Zauba, Samsung put a value on the tablet of $252 USD. 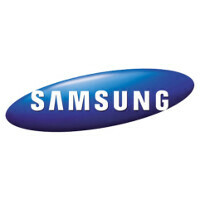 The Samsung Galaxy S2 8 and its larger sibling, the Samsung Galaxy S2 9.7, will be the thinnest tablets at 5.4mm thin. That is even more svelte than the Apple iPad Air 2, which weighs in at 6.1mm slim. Sammy has reportedly chosen to go with a 4:3 aspect ratio on the two tablets. The screens are of the Super AMOLED variety and will feature a resolution of 2048 x 1536. This matches the resolution of the Apple iPad Air 2's 9.7-inch glass. Both the Samsung Galaxy S2 8 and Samsung Galaxy S2 9.7 will be powered by the same octa-core Exynos 5433 CPU that powers the Samsung Galaxy Note 4. However, we could see the 64-bit Exynos 7420 under the hood by the time the tablet is introduced. 3GB of RAM is on board with 32GB of native storage. An 8MP camera is on back with a 2.1MP snapper available for selfies and video chats. The 3850mAh battery keeps the lights on, and the slate supports Cat.6 4G LTE connectivity. A recent Geekbench test showed Android 5.0.2 running the Galaxy S2 8. No word yet on when these metal-framed beauties are expected to be officially unveiled. The battery, aspect ratio, resolution, and soc should be changed. The battery needs to be at least 5000 mah on the 8 inch. Aspect ratio needs to be 16:10 with a 1600p super amoled screen. The soc should be an exynos for tablets with a configuration such as 4 cortex a57 + 4 cortex a72 with mali t860 mp16 built on 14nm. 1 - I will agree with a bigger battery 2 - 2048x1536 is already incredibly SHARP to the naked eye. Even having 20/20 vision I could not distinguish the pixels when I had my iPad Mini 2. 3 - You're asking for too much. E5433 is powerful enough and on top of running 5.0.2 I don't expect it to have performance issues at all. I'm 99.99% sure Samsung is implementing the same flash storage and speed enhancements as they did with the S6/Edge onto the Tab S2 That's the problem with consumers - they want the very best at a time when it isn't ready. Take a look at the 810. Qualcomm rushed it and look at the fail that was. It's a testing unit, I don't think the battery is actually really that small. If it is, I don't see it getting more than 4 hours of SOT, not with that screen. All I know is I hope it has an SD card slot. I've had the iPad 4 (RIP after an unfortunate drop) and iPad Air 2 and the iPad 4 is by far the superior product. Sure processing might be a tad slower but I'd take usability over that anyday. The obsession with "fashionable" thinness everything (side bezels and body) made the iPad Air 2 less comfortable+awkward to hold. The vibrations caused by the internal speakers and thin body also gets annoying after long periods of use. Hate to say this but with the trend now moving to Android territory Windows will be my only choice if I upgrade this year.